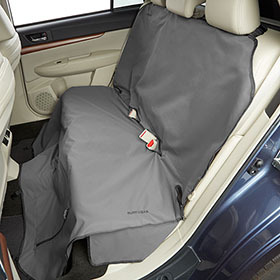 Whatever the need to keep your dog comfortable and safe on your trip, we'll have it. 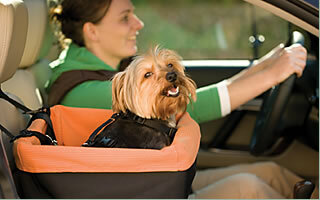 From a simple dog seat to help your small dog see out a window, to dog car barriers and dog travel crates to keep your dogs safely in the rear of your car. Dog car seat covers are a must. Not only do they keep your seats clean - they allow you to buckle your dog into the car seat.We have airline approved dog carriers, too.